No doubt that a person concerned about the security would always choose Mozilla Firefox over Google Chrome. This is only because of the high-end security and encryption provided by the Mozilla to their users. However, Firefox is not recommended when you’re having low-speed Internet connection due to its high data usage. At that time one can go for Google Chrome for fast and reliable surfing. Similar to Google Chrome and other known browsers there are thousands of Add-ons available for Mozilla Firefox too. You can find them in Menu>Add-ons quickly. There are some websites which provide extensions for Firefox browser, but their add-ons are not listed in the store of Firefox browser. Such type of extensions is called unsigned. Earlier, people could easily install any add-ons whether it’s signed or unsigned but after the update 43, it got disabled by the company. From version 43, one could no longer install them. 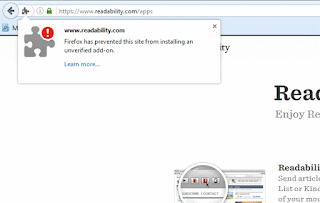 You will get a security warning saying “Firefox has prevented this site from installing an unverified add-on” whenever you try to install them in your browser. The only purpose behind the blocking of unproven add-ons is the security of their users. It can happen that the add-on you are trying to install contains malicious Viruses or Trojans. And no doubt that will wreck your system. Still, if you are willing to install an extension not listed in the Firefox gallery then here’s a trick which will let you install any unsigned add-ones. You just need to bypass this security notification, and you’re done. Note: – Use this method only in the case if you’re confirmed about the safety of the extension. Enter about: config in your address bar and hit enter. You might come across a security warning saying This might void your warranty! Ignore it, just tap I’ll be careful, I promise! On the next page, you can notice all the settings to customize Firefox. Now enter xpinstall.signatures.required (enter the exact text as it’s case sensitive) in the search bar. It will automatically search for the particular setting. Notice the Value tab; it should be True by default. Double click on the setting to set it False. That’s it. Now you can get Install button for unverified add-ons too. Restrictions are applied just to ensure your safety. Don’t ever try to install an add-on if you’re not sure about its security. It can harm your system or crash it forever. For any query don’t forget to comment below.